Plus, of course, the controversial video game. Not trivializing “the very serious study of Bible prophecy” at all. 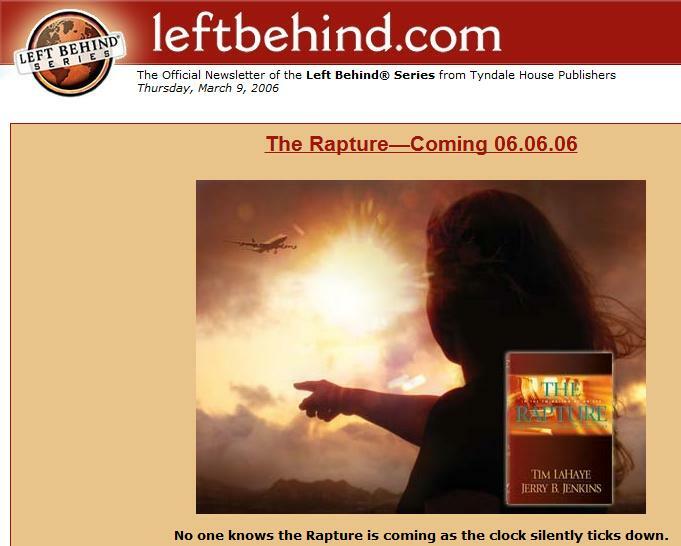 Previous Post Harold Camping False Prophet: What Now? Of course. LaHaye is worried about profits, not prophecy. Oh you have to admire at the sheer hypocrisy of this one. It actually makes me laugh it’s so absurd. Yeah, LaHaye doesn’t have much room to talk! There are much better men on the whole Dispensational and Pre-Tribulational view. And btw, the American Donald Grey Barnhouse was Pre-Trib. Just a point. I am Post-trib again myself.